As seen on News 12 New Jersey, AtlantiCast Medical Minute features health tips, new clinical trials and breakthroughs happening right here in the Garden State. 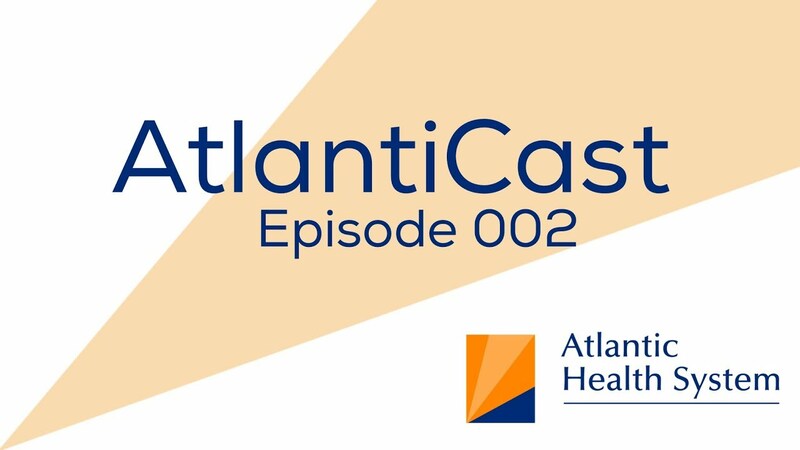 Every episode of AtlantiCast is upladed to our podcast feed on iTunes, so you can receive them straight to your phone, tablet or computer. Have a news tip or an experience with Atlantic Health System that you think should be recognized? AtlantiCast can be delivered right to your inbox when you sign up for one of hospital's e-newsletters and choose the "AtlantiCast" topic.